There are better and more experienced web designer out there than we are. Most of time we would like to encourage you to choose the simplest approach possible. This can be that we make the installation and the basic configuration of the content management system you have chosen. Or that you just benefit from our experience. 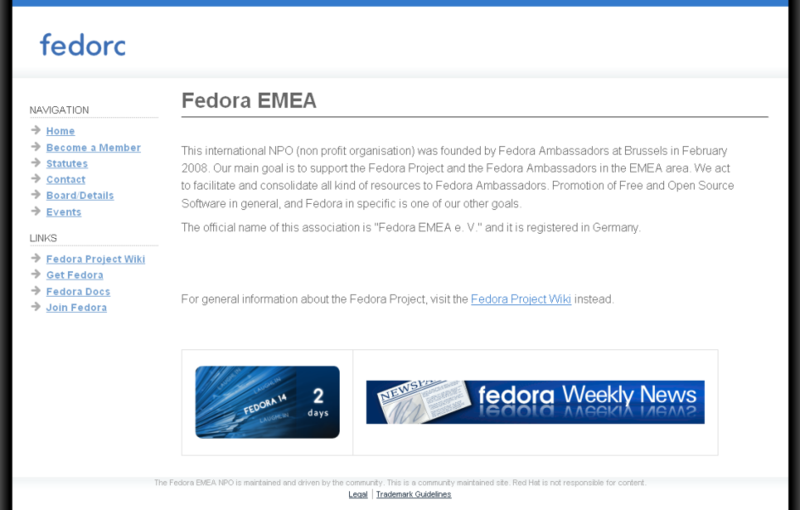 Simple web interface for the Fedora Security Lab Test Bench. Dynamically build from Jinja2 templates and later filled with content depending on the available features on the Test bench. As wished by the owner implemented on the base of the Content management system concrete5. Full customized template and widgets. At the beginning intended to be the entry point for various resources around the community mesh network at Berne, Switzerland. Just a simple page with some links. The logo was made by Gestaltungskopf. Full CSS based website of the owner of Affolter Engineering. 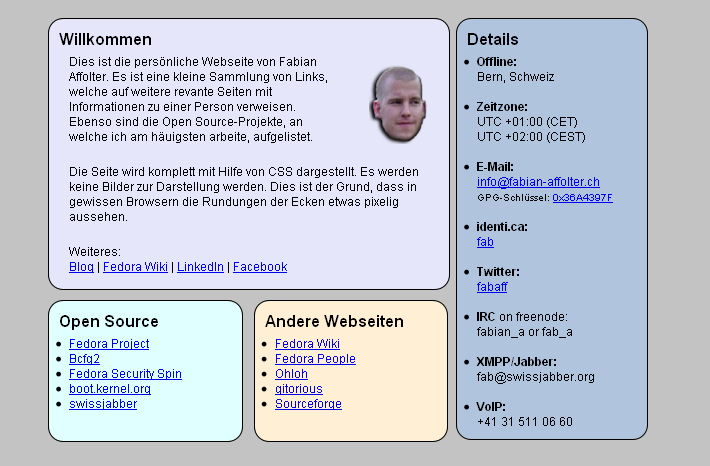 Complete layout is CSS based, no tables or fancy stuff. 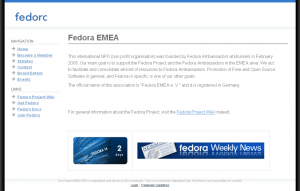 The website contains only a few pages with details and content about the Fedora EMEA NPO (non profit organization). The content is static. 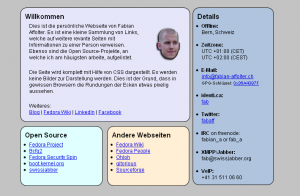 Some of the very early web designs are available in the “old” section. If you want nice graphics or a special design, then please contact Gestaltungskopf. This guy is an artist and not an engineer.